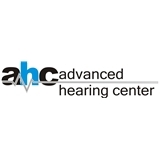 Advanced Hearing Center (New York) - Book Appointment Online! Advanced Hearing Center is a full service hearing aid private practice that has been in business for over 15 years. We care about each and every one of our patients and are dedicated to ensuring 100% satisfaction on a daily basis. All my questions answered in a very clear, concise and understandable way.